When looking for somewhere new to do dinner, I found myself perusing the menu at the LES’s somewhat-recently opened Hotel Chantelle, which, in the epic words of R. Kelly and Cassidy is not a motel or a ho-li-day inn (or even a real hotel – say what?!). 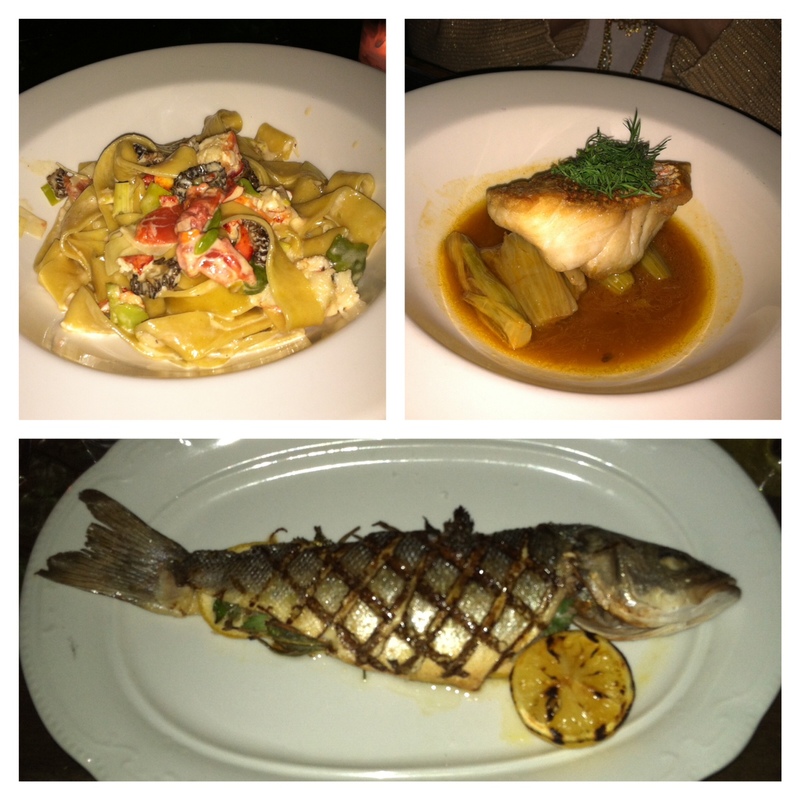 What the folks at Hotel Chantelle do happen to be working with is one of the best kept secrets of the LES dining scene. 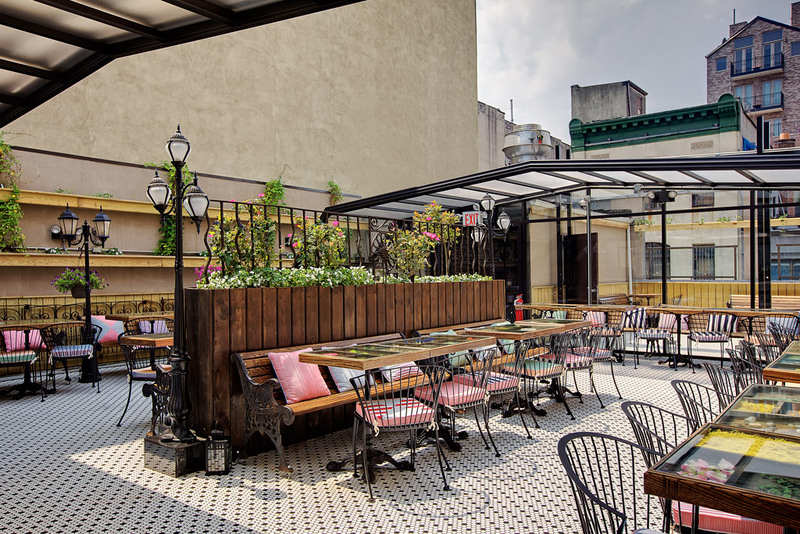 With a massive retractable-ceiling roof deck, lively bar sitch and some hella good food, it’s really a wonder that dinner’s yet to catch on with the trend setters of lower Manhattan. Please don’t mistake me – I’m not trying to claim discovery of this palace of swank (after 11pm on weekend evenings, you’re in for a scene at the door) – I’m merely baffled that dinner has yet to take on a larger following. Wine and cocktails, like the mapped-out namesake Ludlow (gin + mint = up my alley) are on happy hour at the bar till 9pm week nights – definitely grab a stool for a pre-dinner libation. 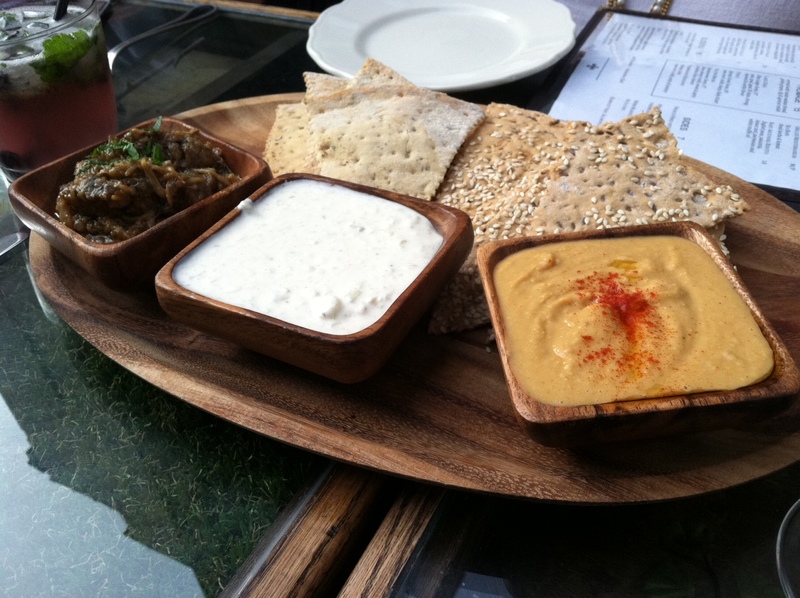 Once you’re seated, try starting with a Mediterranean dip trio for the table; we dipped six grain and herbed lavash in roasted garlic hummus, cucumber with mint tzatziki and eggplant caviar (a personal fave). During appetizer round, we opted for the tomato and (oh so creamy) mozzarella salad, which was good, but not a show stopper. The refreshing watermelon salad with pine nuts, fresh mint and ricotta salata turned out to be a much better call, as far as different flavors go.